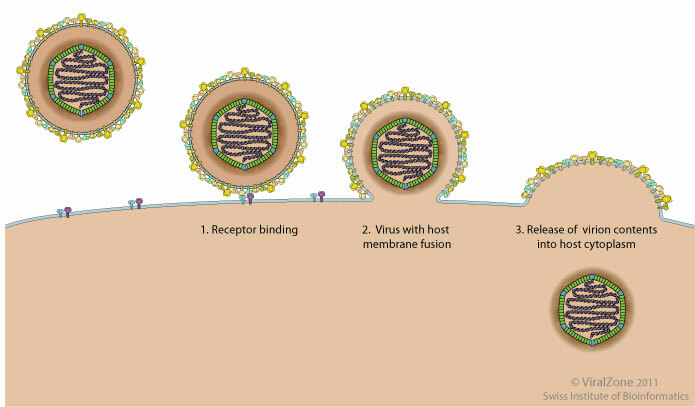 The fusion between viral and cellular membrane is triggered by fusion proteins. All fusion proteins are active in a trimeric conformation. Most of them are natively trimeric, some of them are dimers on the virion surface but are converted to trimers upon activation . 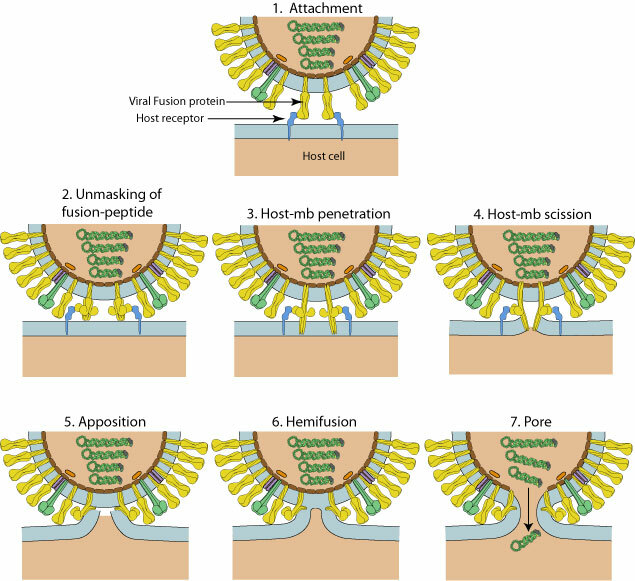 Fusion proteins have to be produced in an inactive state in order to avoid to trigger fusion in the Golgi or other compartments upon synthesis and transport to the cell surface. Many are activated in the trans.Golgi network or at the cell surface by proteolytic cleavage which reveals the fusion peptide.